Reliable rackmount dual time server that receives precise time from GPS and radio sources and delivers it to two independent networks. Sits behind your firewall to maintain network security. Able to supply time to two networks. Ideal for medium to large organizations. Six-year warranty and lifetime technical support. 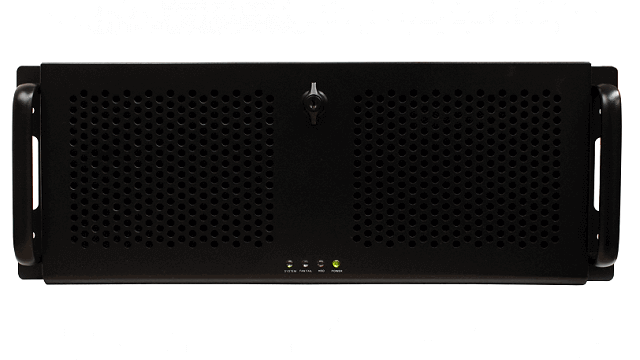 Ideal for organizations that depend on synchronized time, the rackmount dual time server receives time from GPS and radio (WWVB) time sources and delivers it to thousands of devices on two separate networks. The dual time server is also available with a radio antenna to receive MSF or DCF time signals. The dual time server synchronizes to the strongest signal and, if one source fails, automatically switches to the other. You benefit from complete assurance that your organization is always running on accurate, synchronized time. The dual time server sits behind your firewall to maintain network security. 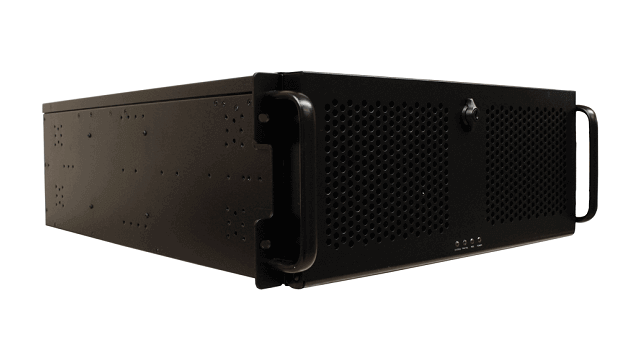 By mounting in a 19-inch rack, the server easily integrates alongside your existing IT equipment. 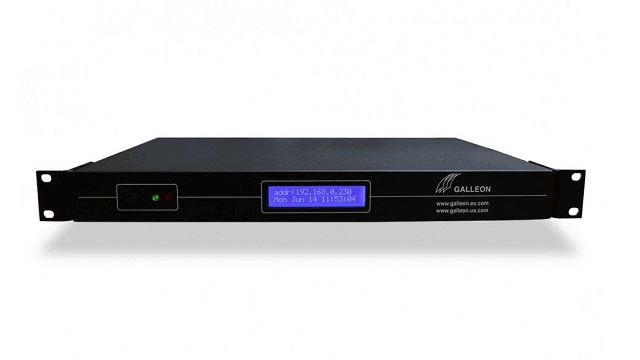 Galleon Systems has over 20 years’ experience manufacturing NTP servers, clocks and software for customers such as Vodafone, Ford and HSBC. 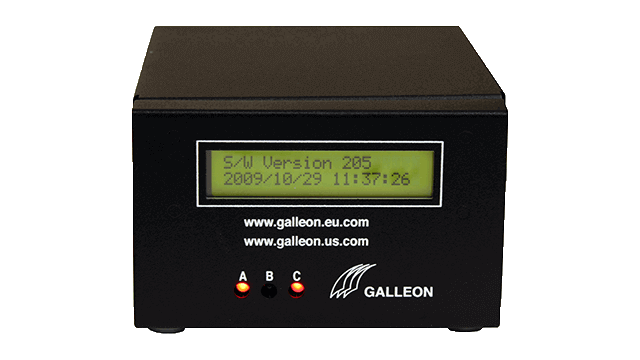 With a six-year warranty and outstanding customer support, you can have complete assurance about the reliability of your Galleon time server. Accurate: if one time source fails, the server automatically switches to the other to maintain synchronization. User-friendly: easy to install and use. Mounts in a 19-inch rack alongside your existing IT equipment. Ideal for medium to large organizations: can supply time to thousands of devices on two independent networks. Reliable: FCC and CE certified with an industry leading six-year warranty. GPS and radio antennae are sealed to IP65. Windows based NTP server for synchronizing thousands of devices on up to six independent networks. GPS time server to synchronize devices on up to two networks with satellite atomic clock time. Receives time from satellite atomic clocks and delivers it to thousands of network connected devices. Standalone NTP server for synchronizing devices on a single network to satellite atomic clock time. 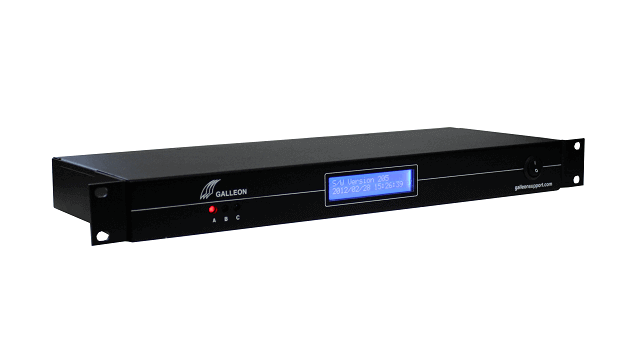 Rackmount time server to receive precise time from GPS and radio sources, supplying it to two independent networks. NTP server that receives time signals from GPS and radio sources to reliably synchronize devices on up to six networks.